A quick note on female teams in Afghanistan and Iraq. There is an excellent interview with a female member of a US Cultural Support Team (CST) and Special Forces enabler who deployed to Afghanistan. 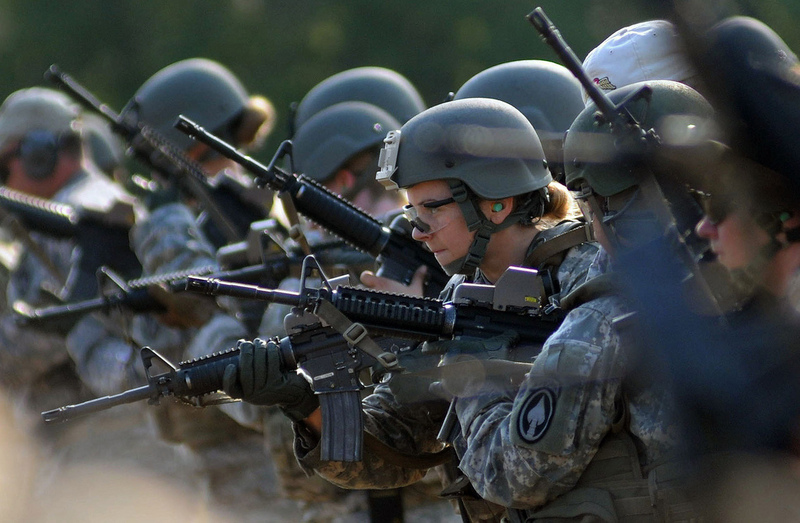 It sheds light on women in combat from first-hand experiences, but tells us very little about CSTs. At present there is only limited publicly available information of CSTs’ function and deployment conditions. Objective analysis of their challenges or efficacy is scarce. There has been however an increase in academic research into Female Engagement Teams (FETs). When I wrote this piece in February last year, there was little analytical material, just media releases and news coverage. Stephanie K. Erwin, ‘The Veil of Kevlar: An Analysis of the Female Engagement Teams in Afghanistan’, March 2012, available here. Keally McBride, Annick T. R. Wibben, ‘The Gendering of Counterinsurgency in Afghanistan’, Humanity: An International Journal of Human Rights, Humanitarianism, and Development, Summer 2012, see here. Thomas W. Moore et al, ‘Opinion Dynamics in Gendered Social Networks: An Examination of Female Engagement Teams in Afghanistan’, December 2011, PDF here. Major Sheila S. McNulty, ‘Myth Busted: Women are Serving in Ground Combat Positions’, Air Force Law Review, July 2011, PDF here. Major Karen J. Dill, ‘Removing the Rose Colored Glasses: Exploring Modern Security Environment’s Effect on the Army Assignment Policy for Women’, US Army Command and General Staff College thesis, 2009, PDF here. McNulty’s chapter documents the history of the US Army’s Lioness Team program and the development of the Marine Corps equivalent, as well as discussing FETs in Afghanistan. Dill’s thesis analyses the documentary ‘Team Lioness’ to demonstrate how the understanding of women’s roles in the military have evolved. In summary, this is still a developing area of academic literature, and I’m sure there are some references I’ve missed, so feel free to supplement this with suggestions. Happy reading! Image by US Army SSG Russell Lee Klikam, courtesy of Flickr user USAJFKSWCS. This entry was posted in Uncategorized, Women in combat by Natalie Sambhi. Bookmark the permalink. Thank You for this article. As a recently retired WM, I have always felt that women’s changing roles on the ground have not received the academic attention they deserve. Frequently, female roles are discounted by their fellow soldiers/Marines, and the public in general. It is good to see quality scholarly articles, that set the record straight.